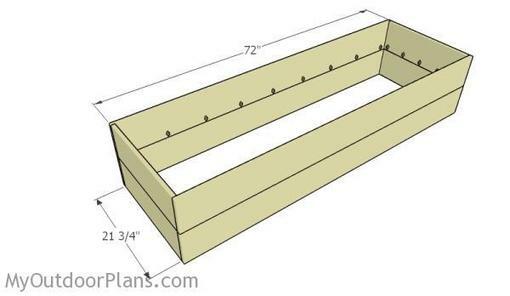 Back Ache Be Gone: Waist High Raised Garden Bed Plan | Wood. It's Real. | Wood. It's Real. As we start to thaw out, our minds turn outdoors..and how you can start this year’s garden. Check out this plan on how you can build a waist high garden bed. No more leaning over to plant seeds and pick your veggies. This is small enough that you could even have it on a balcony. It can be an especially wise choice for folks who have a hard time getting down on the ground. We recommend ground contact Southern Yellow Pine for the posts that are in the ground, and treated Southern Yellow Pine for the box. You can even doll up your raised garden bed with paint or stain on the outside. We’d love to see what you do. Build on, friends.